I've got to say that I've no idea what Risogaph printing is, or that it's even popular, before I read this book. Risograph, if you don't already know, is actually like using a photocopier to create screen printing. I hope I explained that correctly. I didn't know that these machines even existed. This book is supposedly the first existing book that talks about Risograph, Mimeography and other stencil duplicators. The first few chapters talk about the history of Risography, other duplicators and how they work. That's followed by hundreds of examples of the designs that were created by artists, and lastly a showcase of specific presses, studios and individuals that work with Risography prints. For artists and designs who are already into Risography, this book can serve as a good reference with lots of examples. 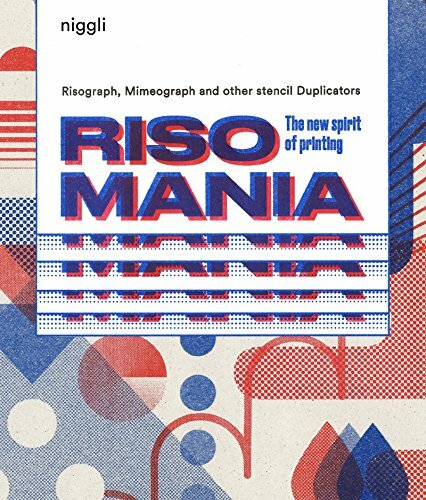 For those new to Risography, it's a good book to show you the potential of this printing technology. Overall, it's a fantastic book.